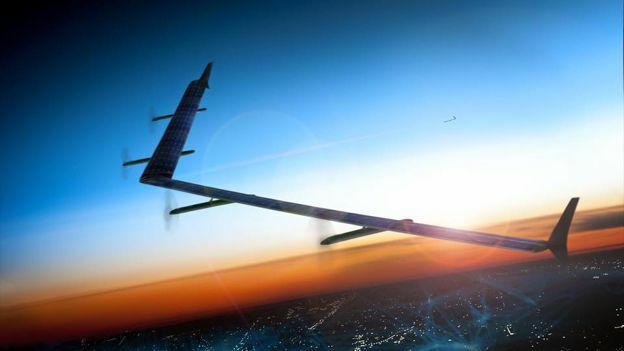 Facebook has taken another giant leap for mankind by announcing that it has finally completed the construction of a drone that will bring internet to some of the most remote places on earth. The solar-powered plane, called Aquila, has the wind-span of a Boeing 737 whilst at the same time weighing less than a car and is able to stay in the air for months on end in a similar way to Google's Project Loon. Mark Zuckerberg, CEO of Facebook, announced the news in a post on the social networking site and also detailed a new breakthrough that allows them to deliver data at speeds that are much faster than current offerings. “We've also made a breakthrough in laser communications technology. We've successfully tested a new laser that can transmit data at 10Gb/s. That's ten times faster than any previous system, and it can accurately connect with a point the size of a dime from more than 10 miles away,” Zuckerberg added. The internet.org project, of which Facebook is head, will test the drones over the coming months before implementing them soon after that with the goal of bringing the internet to the 10% of the world's population that live without it. Flying at between 60,000 and 90,000 feet, the drones will fly in a 3km circle and be able to provide internet access to people within a 50km radius. That's the plan anyway. Google's Project Loon, which has a similar mandate, have already been extensively tested and are expected to compete at the same altitude as Facebook's plane. Let the almost-space race begin!